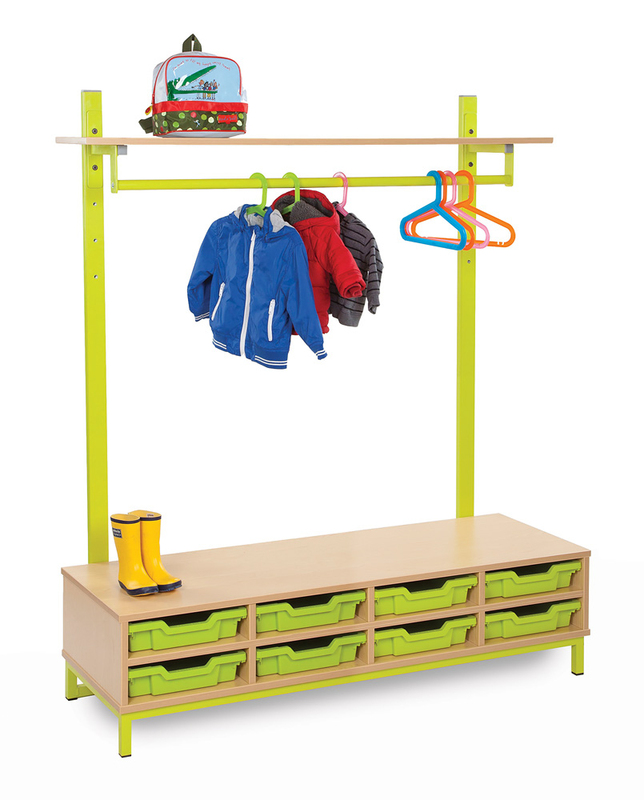 The Bubblegum cloakroom storage bench with coat rail and shallow trays is a colourful and well-designed cloakroom storage solution, for use in schools, pre-schools and nurseries. 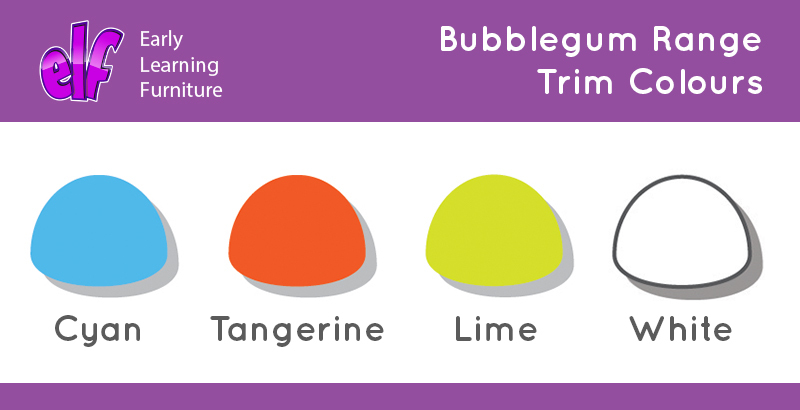 It features a fully welded steel frame which is available in 4 eye catching colours - cyan, tangerine, lime and white – perfect for brightening up your cloakrooms. The upright bars are fully height adjustable to enable this storage solution to grow with the children. This Bubblegum cloakroom bench comes with a top shelf which is ideal for holding school bags or lunchboxes. Attached is a coat rail for hanging school coats. The bottom storage bench incorporates 8 shallow Gratnells trays for storing other personal belongings. 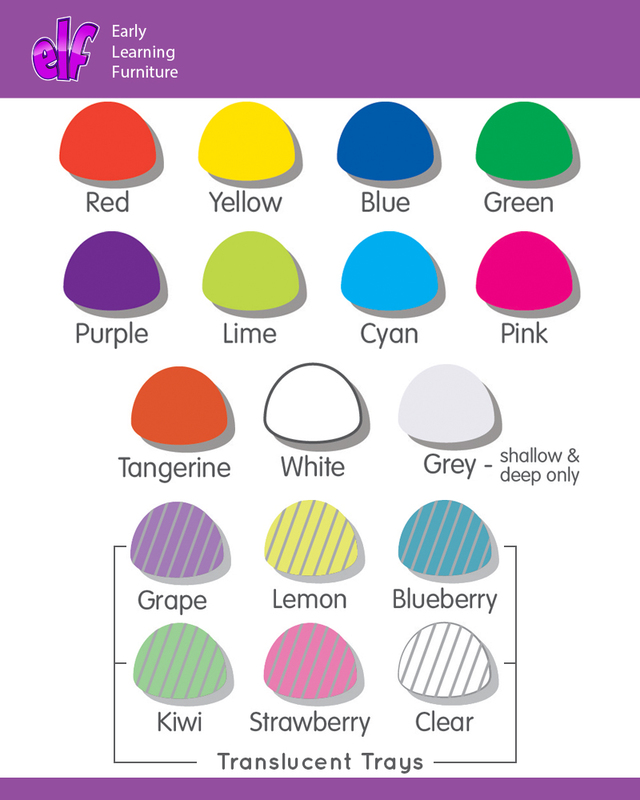 Trays are available in 16 colours. Our Bubblegum cloakroom storage range also includes: unit with boot rack, unit with open compartments and unit with hooks and trays. 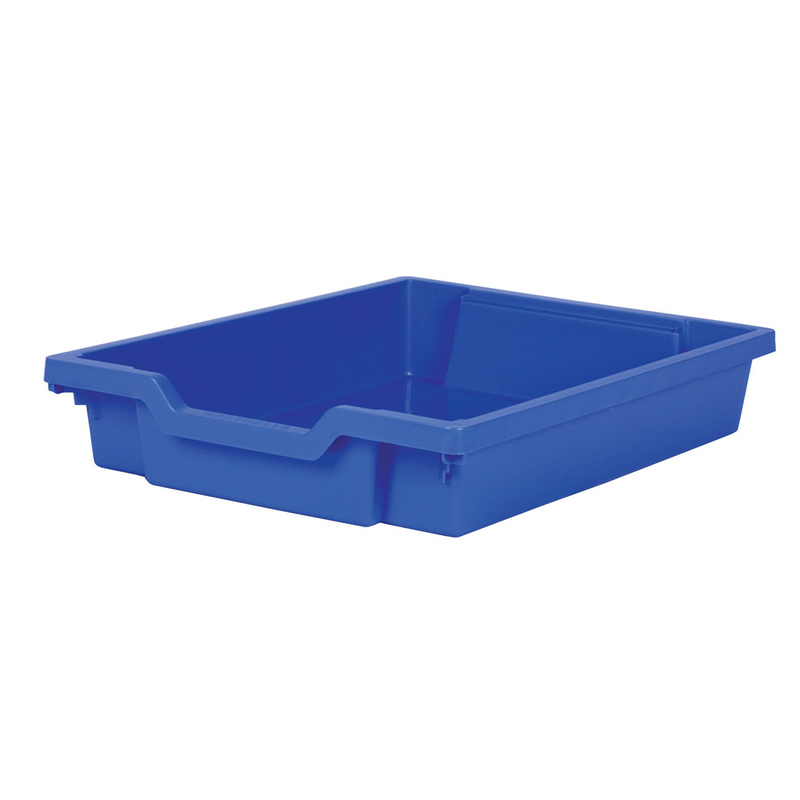 Please note: multi-coloured trays are available at no extra cost. The coats, bags and coat hangers featured in product images are not included. Please Contact Us or call for more details on 01733 511121.